If you are a blogger then I can bet you have been searching for these tools. Blogging tools can enhance your blog as well as they make it easier for us to manage our blog. Blogging tools are the lifeline of every blogger. Without proper tools, it is very hard to make your blog do well on SERPs and social media. Today, I am going to tell you about the 23 best blogging tools out there in 2019 that can take your blog to the next level. Meet Edgar is the best social media marketing tool out there. It can help you climb up the difficult social media wall by scheduling all your posts and also by resharing them from time to time. They have recently released a new feature in which you don’t even need to write the updates, Edgar will do it for you. Their pricing is $49/mo with a 30-day free trial. Now, this is the tool I love the most. 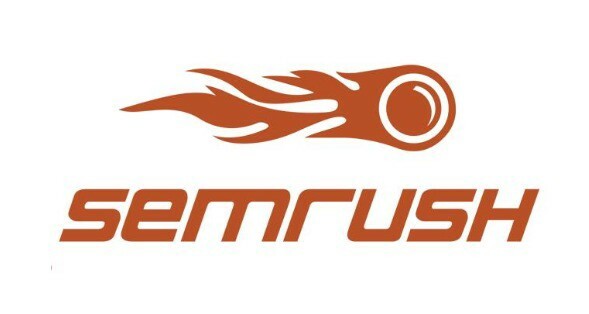 Semrush is the best when it comes to SEO. They provide you with 10 different toolkits that will help you in each and every aspect of SEO and Marketing and also with social media marketing. Semrush has helped me rank my website high on Google. They also provide you with your competitor's analysis that will help you in understanding their tactics. Their price starts from $99.95/mo and you can switch between different plans according to your needs. Buzzsumo is the real deal. It helps you find the most curated content on the web and social media. You can just pop up any domain or keyword and Buzzsumo will tell you the most loved and shared content for that domain or topic. It is very useful as it helps you get an idea of what is trending right now. Their pricing starts from $79/mo and they have several plans according to your needs. Buffer is another great social media marketing tool that can save a lot of your time by scheduling your posts. It is the best tool when it comes to scheduling Instagram posts. They also have a free version that could help in getting started but if you want the full benefits you should definitely buy their pro plans. Their pricing starts from $15/mo which is very cheap. You must be thinking how a link shortener tool is included in the list? Well, Bitly is also a necessary blogging tool. It will help you in tracking traffic to each and every link. 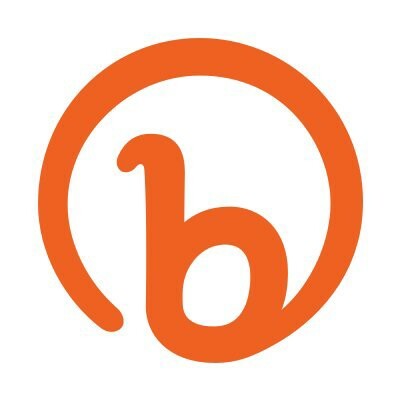 Also, with bitly, you will get to know the exact traffic sources that are sending traffic to your website. It is totally free and if you want to short massive amount of links in a month then you will need to upgrade your account to the enterprise version. They are free but if you want more analytics you can go for $29/mo subscription. In order to catch your reader's attention, you need to create great images and infographics and you know what? 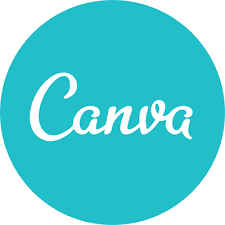 There is no other tool better than Canva to do that. There are millions of templates available that will help you in the creation and designing perfect images. Although not all the templates are free, for some you need to pay $1 to remove the Canva mark. Overall it is the best tool that can really take your image and infographics designing to the next level. They are also free but for more, their pricing is $12.95/mo and a 30-day free trial which you can cancel anytime. MailChimp is the best email marketing tool out there. It helps you create your email marketing campaign that will help you in tracking your data. Also, you can create your own landing page that can help more visitors convert to subscribers. What Mailchimp better than most of the tools out there is they are super fast and there are a lot of customization options available. Their pricing starts from $9/mo and you should go for it without any doubt. Mobile Monkey is the best chatbot marketing tool. They have a partnership with facebook messenger platform that makes them even more better. You can create your own chatbot within minutes with them. Having a chatbot for your business or blog makes it easy for you to hook up your customers and help them whenever they need. With Mobile Monkey you can create chatbots, lead magnets, chat blaster and more. Their pricing is $0 but if you want some cool and extra features you can upgrade for only $19/mo as they are giving a discount nowadays. Wistia is a great tool for every blogger and marketer out there. I help you in uploading your videos and store it and also provides with a good video hosting platform. It helps you add videos to any post you want. You can also track how your videos perform. Processing in Wistia is super fast and you can even edit your videos to some extent. Their pricing is free but if you want to upload more than 3 videos you will need to upgrade to their pro plan with costs $99/mo. Hunter is the best when it comes to finding emails of influencers and marketers. All you need to do is to enter their name or domain and hunter will show you the email address. It really becomes easy to send an email pitch asking for a backlink. Also, you can ask for a share. Their pricing is free for 100 searches in a month but if you want more then you will need to buy the starter pack which starts from $34/mo and if you want even more then go for growth, pro or enterprise. 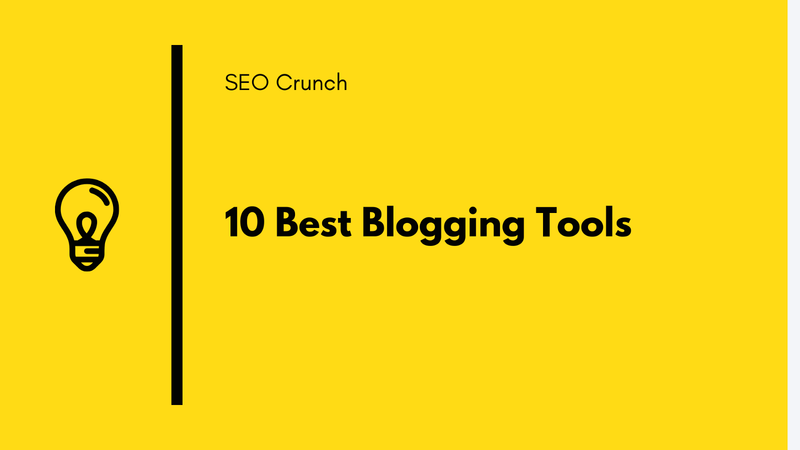 So, these were some of the best blogging tools out there in 2019 and each one of them is the best in their category. If you want to make your blogging journey hassle free then make sure you are using these tools. Almost all the tools are free but if you want more features you should buy their pro packages. I hope this all helps you in taking your blog to the next level.